Beta Release! Polish and Shine. 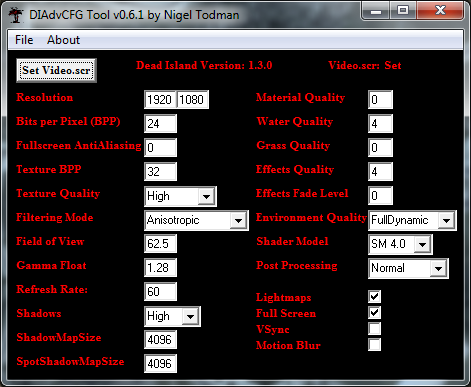 Re-sized and repositioned all elements of the interface. descriptions, formatting and syntax info. Not done yet. Added Motion Blur tweak. First tweak of this style, Not actually in Video.scr Using ‘loose’ files. Detects Dead Island Install Path, Doesn’t use it yet. Launcher soon. ← Oooh Shiny, Windows 8 Consumer Preview available for Download.